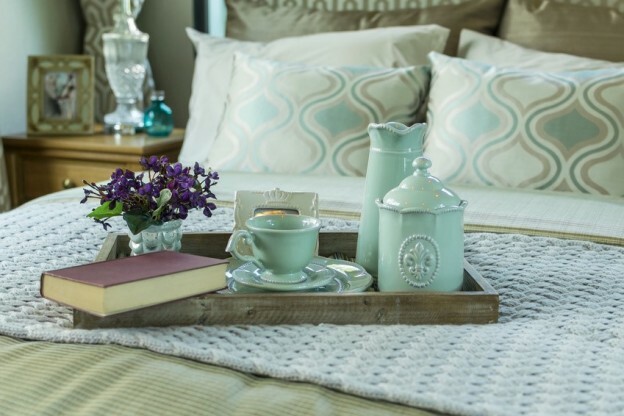 If you’ve dreamed of owning your own bed and breakfast or guest house for a while, you’ve no doubt read many wonderful books, blogs and guides on how to make it happen. However, you still haven’t taken that first step yet – perhaps your confidence is holding you back, or maybe you have questions you need answering. A B&B course can encourage you to take that first step and decide whether this is the right decision for you. You’ll be given practical advice by expert B&B owners and given some useful resource materials. It’s the perfect way to focus your attention to making your guest house dream come true! Here are three of the best courses available for those interested in setting up their own B&B business. The Bed & Breakfast Academy two-day course promises to provide you with “everything you need to set up, run and market a successful B&B”. Run by Karen, the owner of the successful Hopton House, it’s the ideal opportunity to network with both fellow soon-to-be and existing guest house owners, as the size of the course group ranges between just 6 – 12 people. The cost of the course is £250 per person which includes a workbook containing all the information covered over the weekend, examples of the documents you’ll need to set up and run your business, a light buffet lunch on both days and refreshments throughout. Run by the owners of The Red Townhouse, Elaine and Richard, this two-day course is ideal for anyone not entirely sure if running a B&B or guest house is for them. It covers everything from what the business involves, to what makes a successful B&B and the most common mistakes to avoid. They tailor each course to individual needs so that they can focus on key areas. You’ll also be given course materials and an information pack to take away with you for future reference. Accommodation is included in the price of the course – you’ll stay at The Red Townhouse itself, giving you a perfect opportunity to see how a great B&B should be run. The cost of the course for two people is £400 including two nights’ accommodation. The Red Townhouse is located in Cumbria on the edge of the Lake District and North Pennines – a beautiful place to stay! • StartABedandBreakfast – No matter how developed your B&B business is, you’re sure to find the information on this site article. With articles on everything from decorating and maintenance to how to dealing with guest complaints, it really is the ultimate free resource. • The Bed & Breakfast Association – It’s well worth becoming a member of the Bed & Breakfast Association, as it provides support, help and information to both new and established guest house owners. • Smallbusiness.co.uk – This site has lots of information on all aspects of running a small business, as well as several articles aimed specifically at B&B owners. The work life balance section is particularly useful. We hope you find the above courses and guides valuable; don’t forget to check out our very own guides and resources on our blog. We’re also happy to answer any questions regarding financing your B&B, so contact us today!